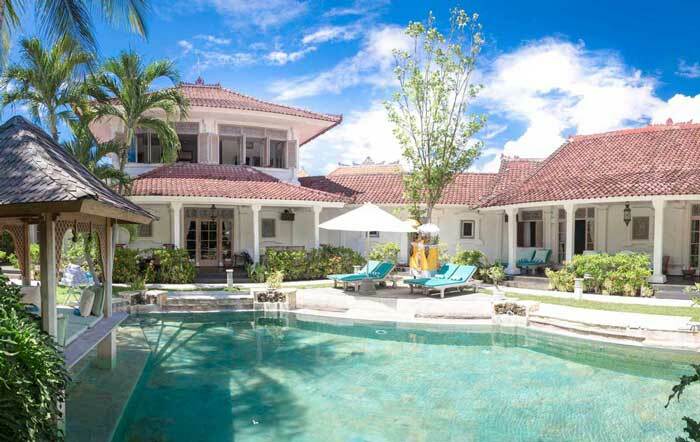 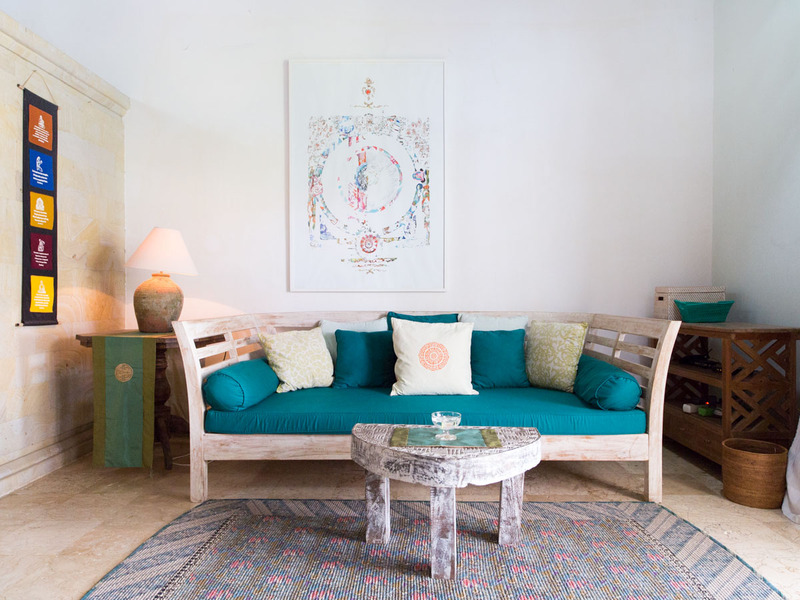 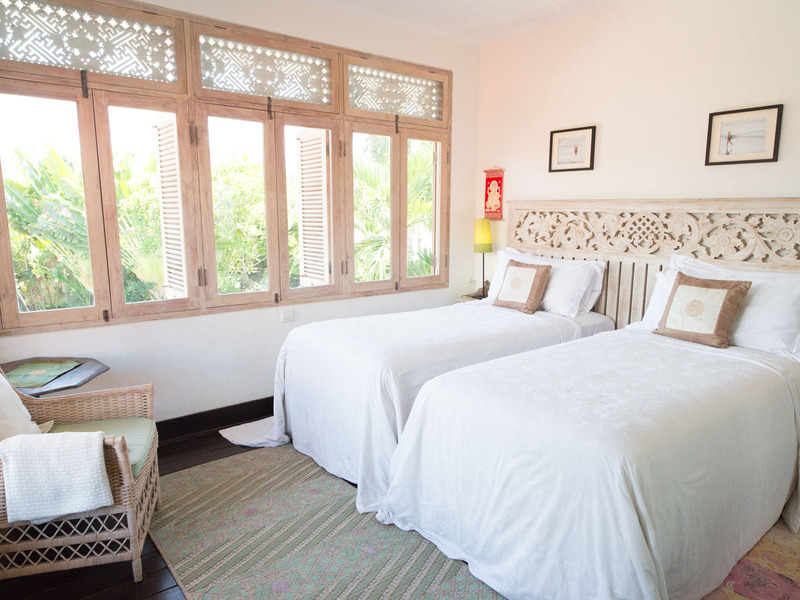 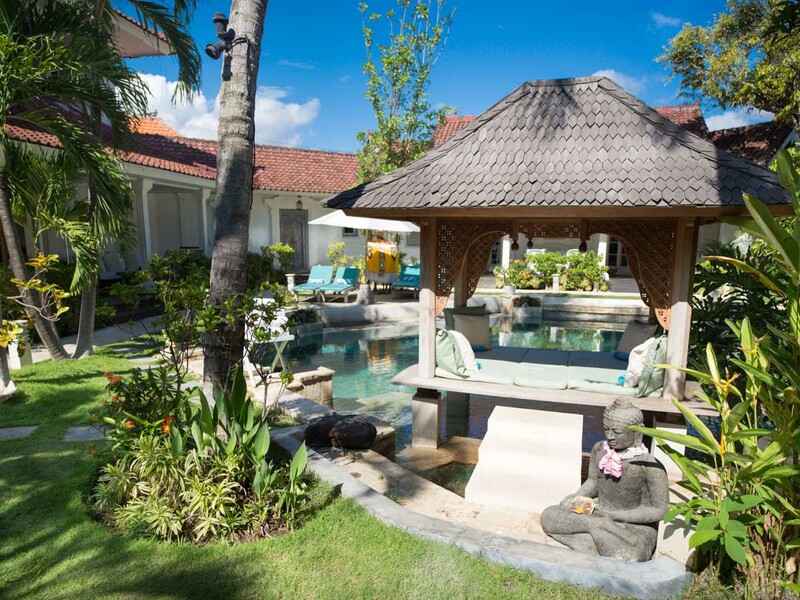 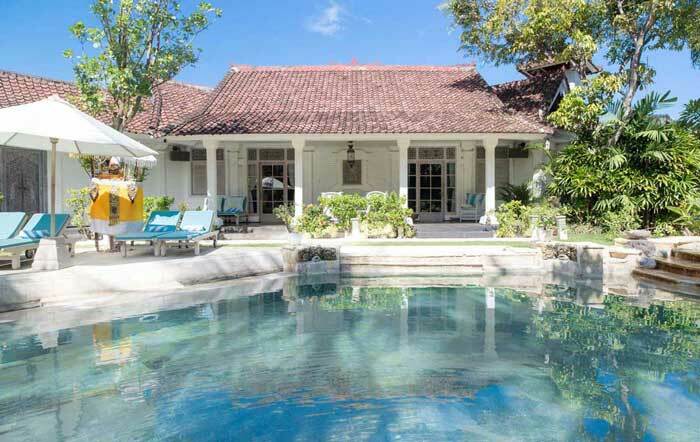 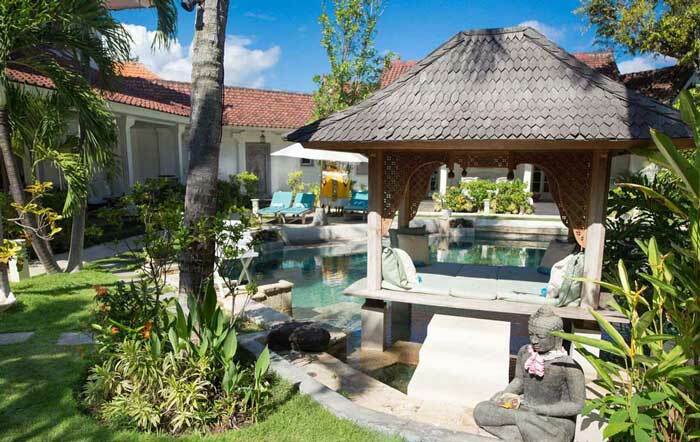 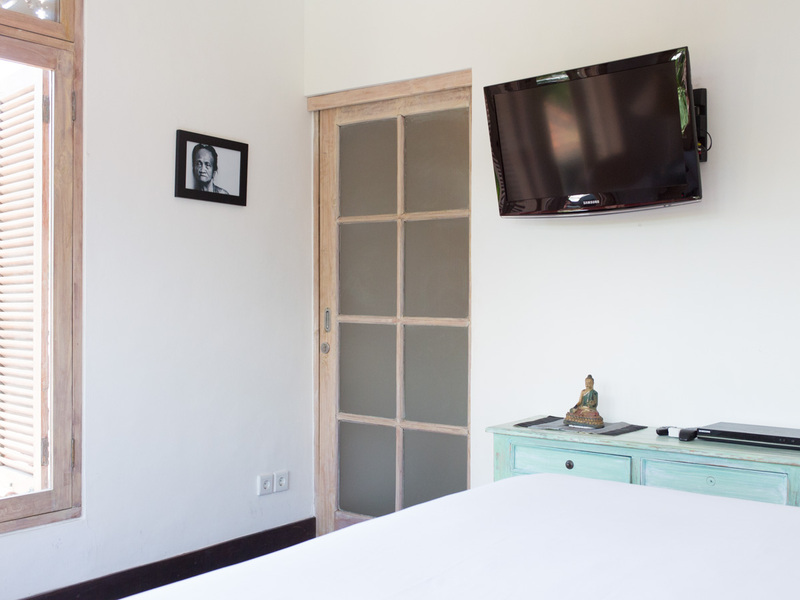 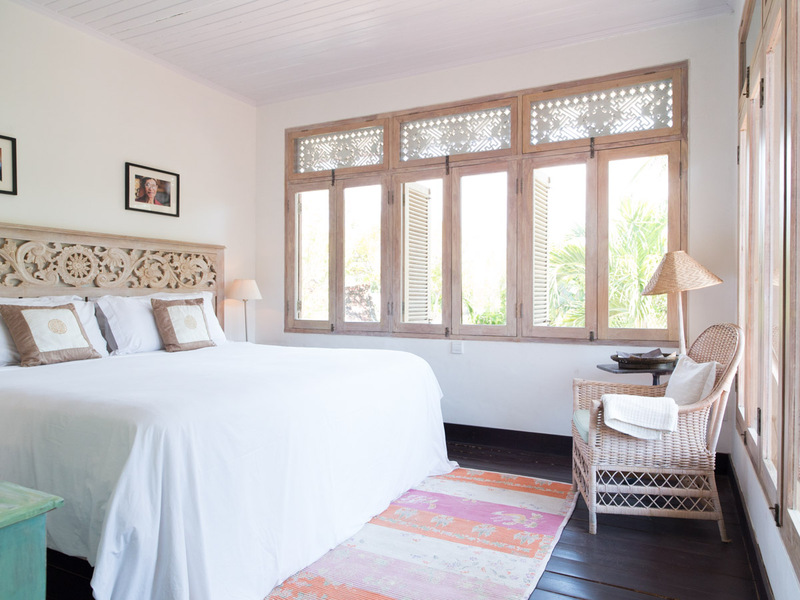 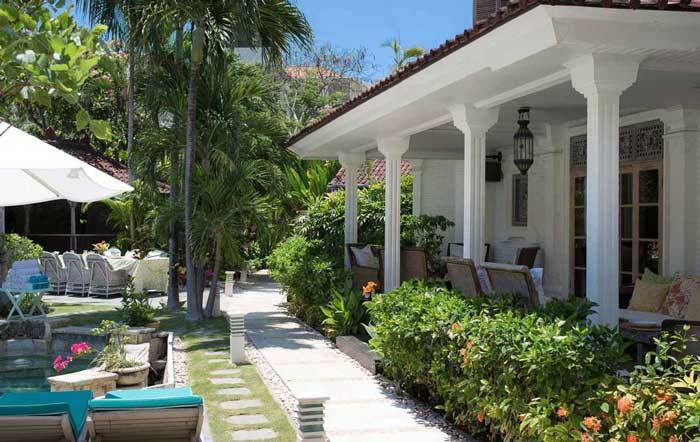 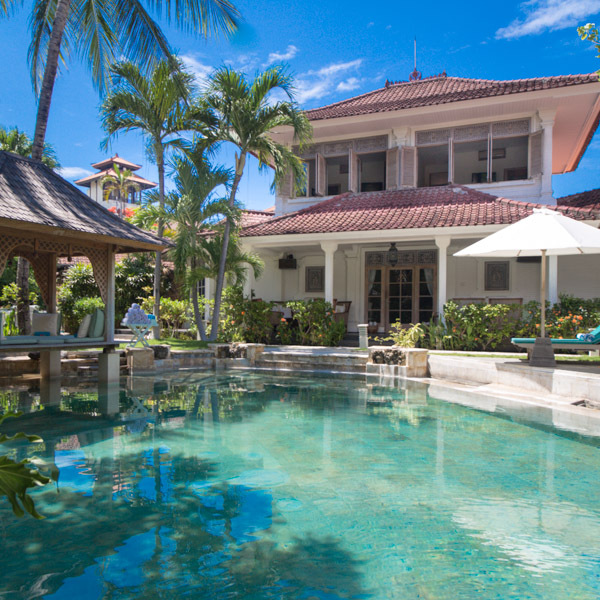 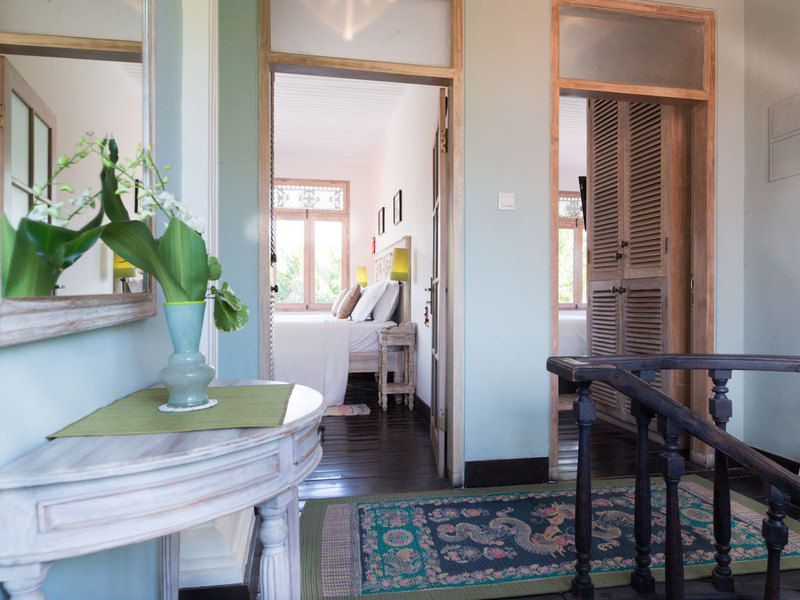 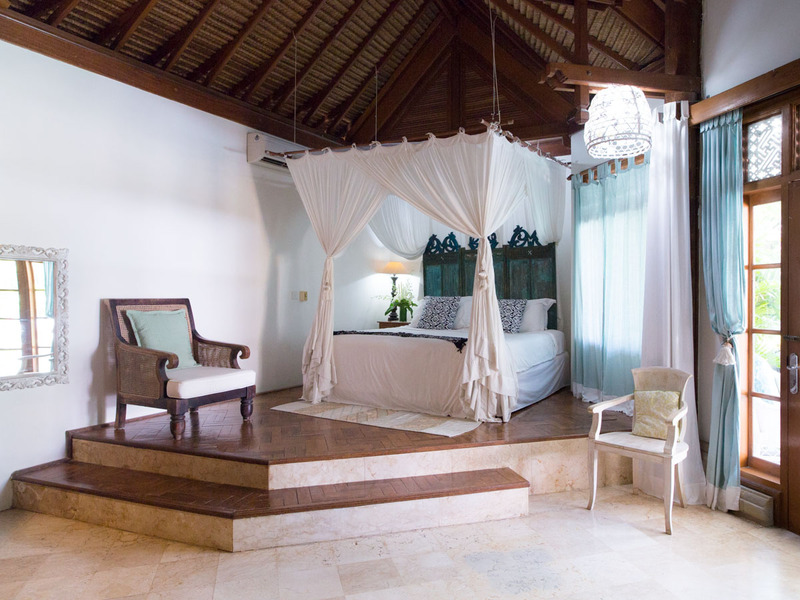 Puri Dana is a 1,070m2 vacation rental property set up for family holidays. 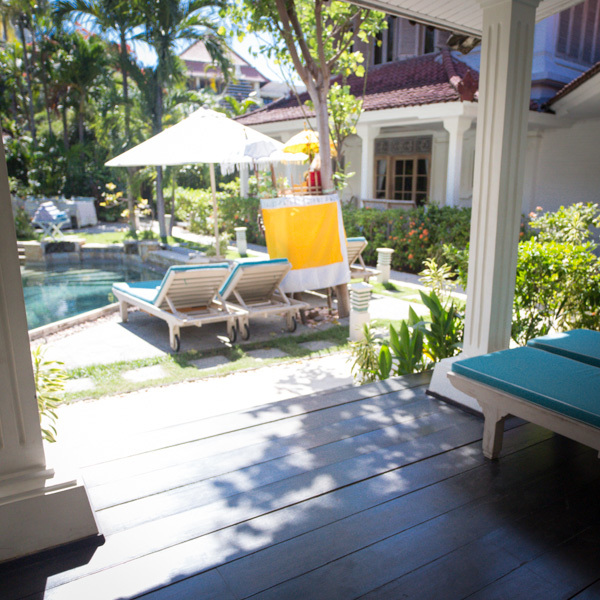 With a big pool, friendly staff including cooking services and an in-house spa team, it’s a hidden oasis in the center of upscale Seminyak. 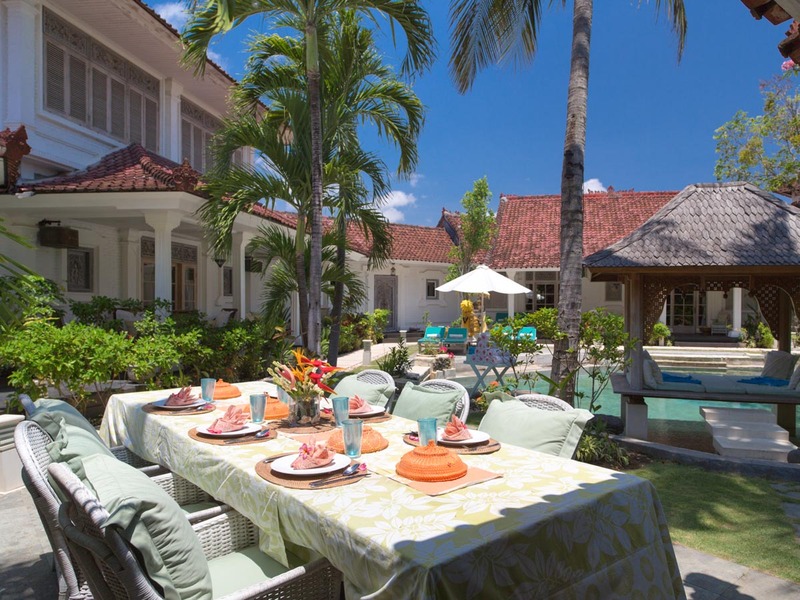 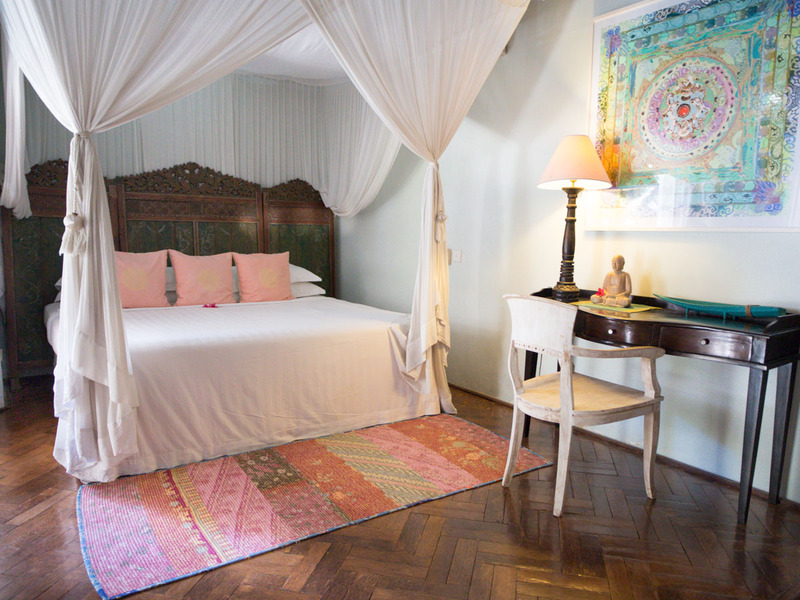 The entire five bedroom property is rented to groups of up to 13 guests. 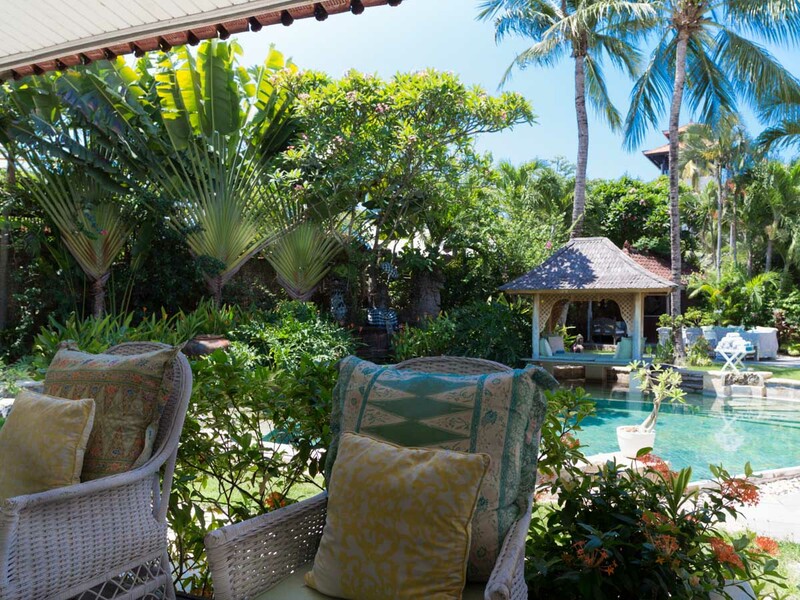 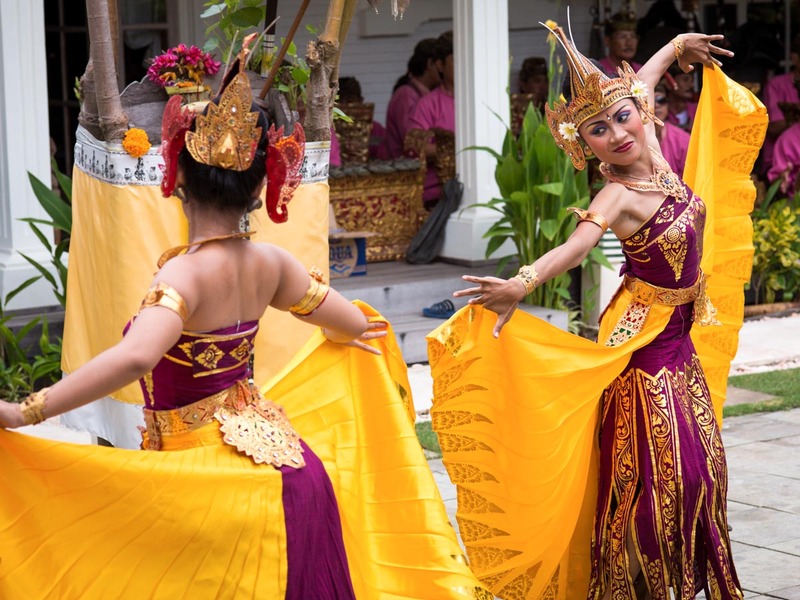 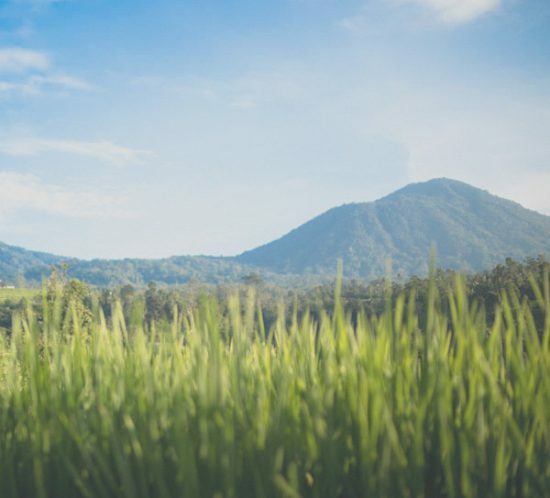 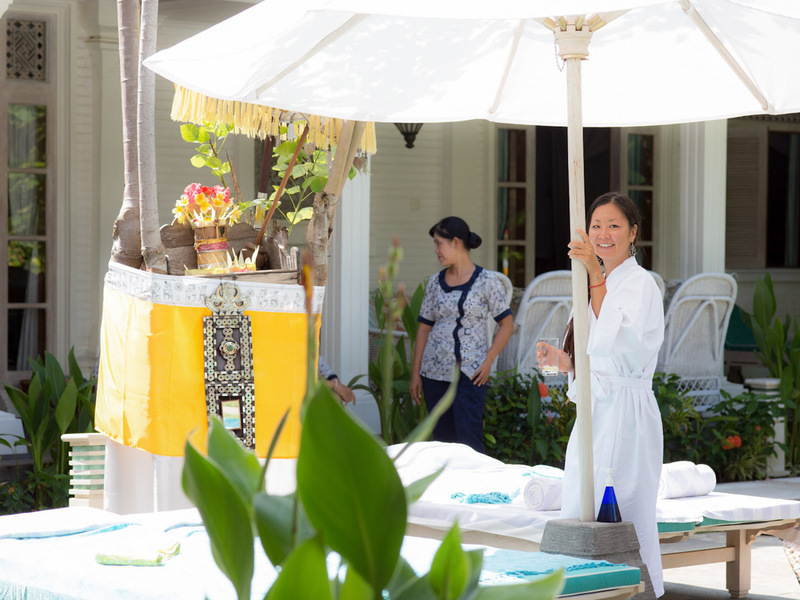 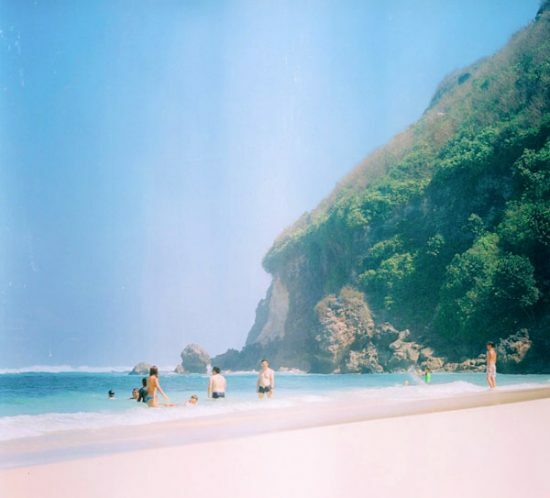 Walk to Bali’s best beach clubs, restaurants and shops from our amazing location engulfed by five-star hotels. 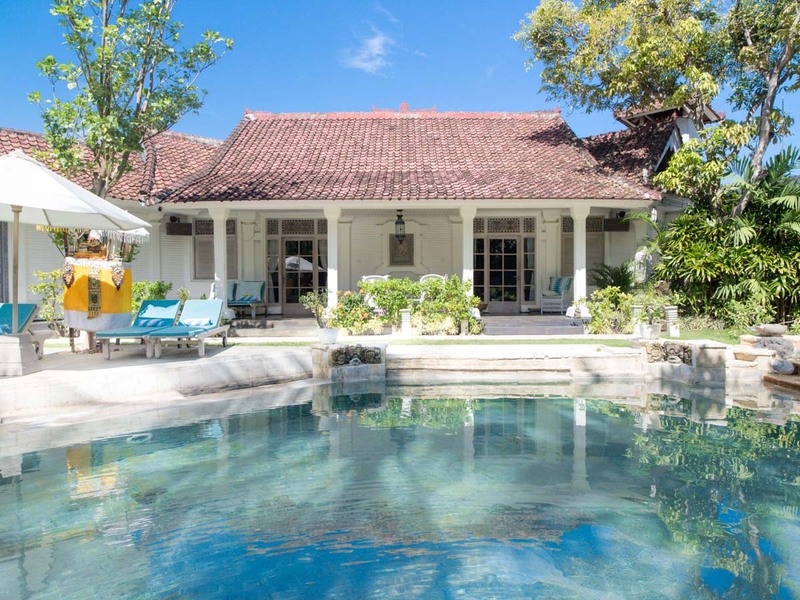 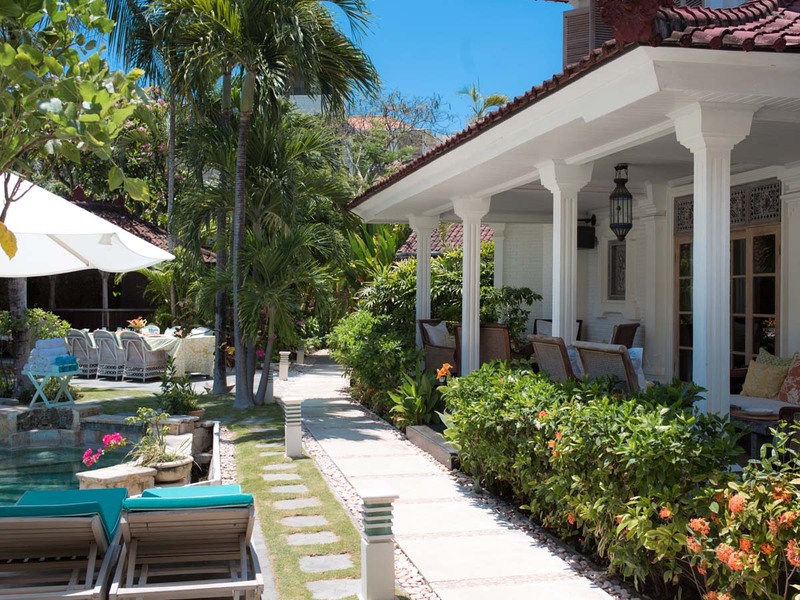 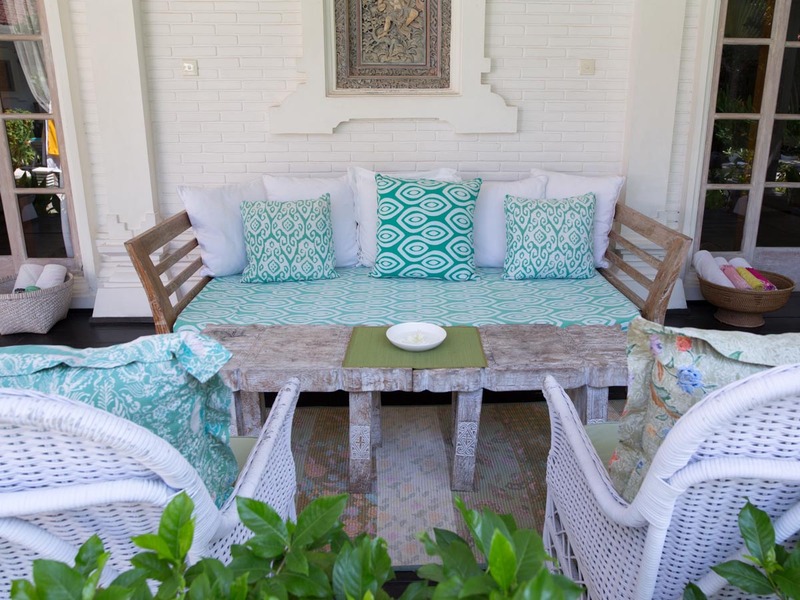 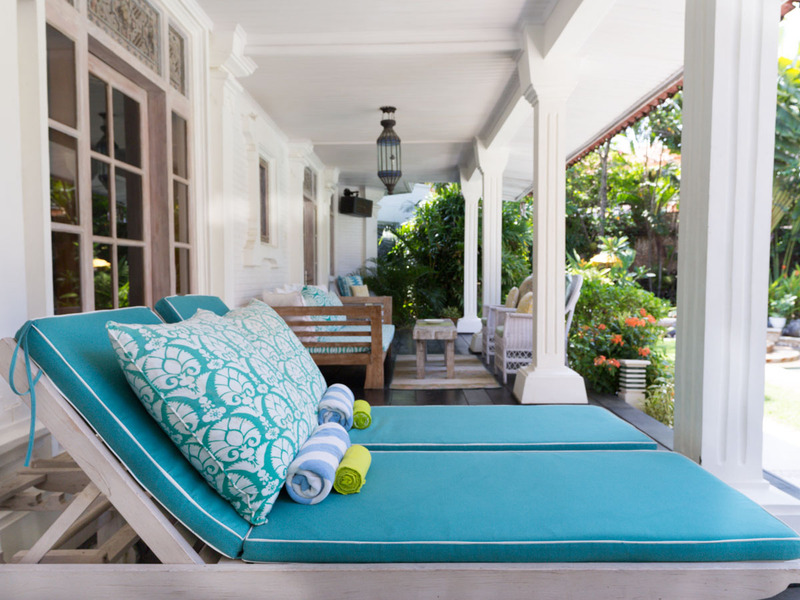 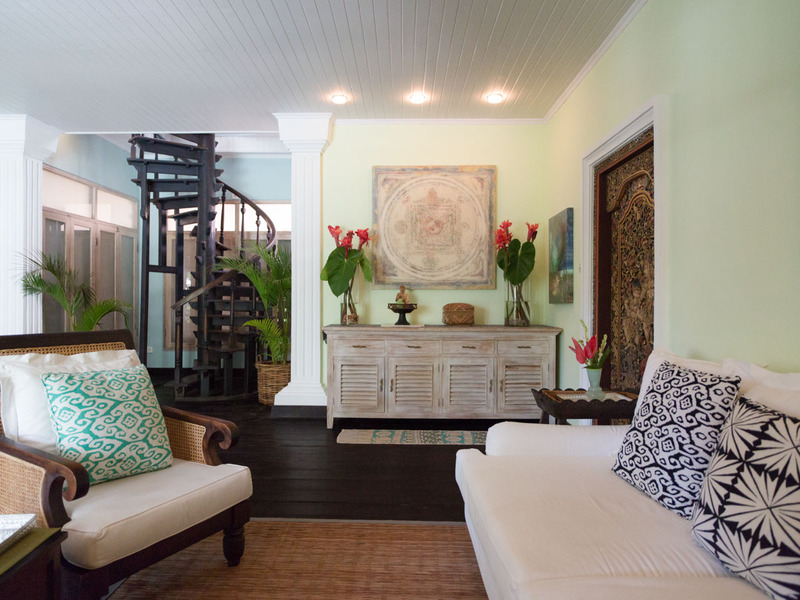 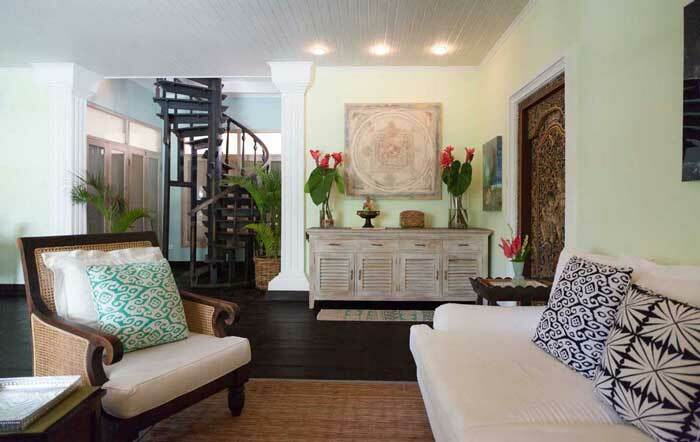 Stylish Batavia architecture and tropical colonial decor. 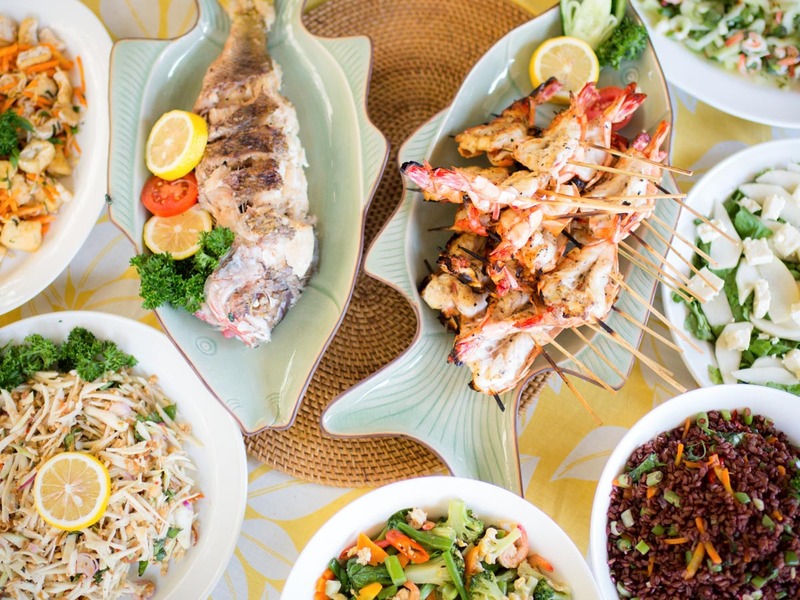 Private chef services are included for group meals served by our friendly staff. 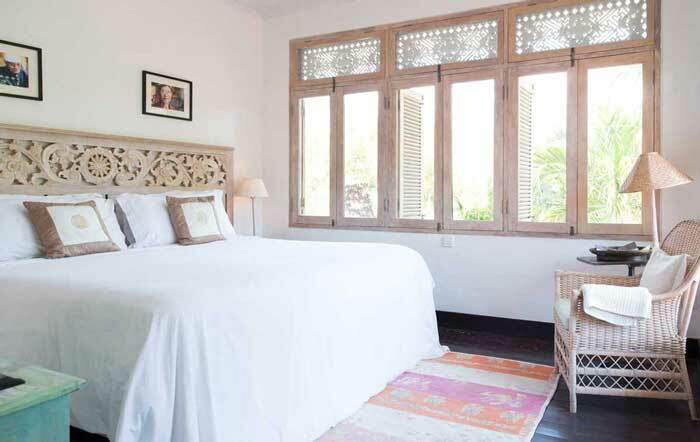 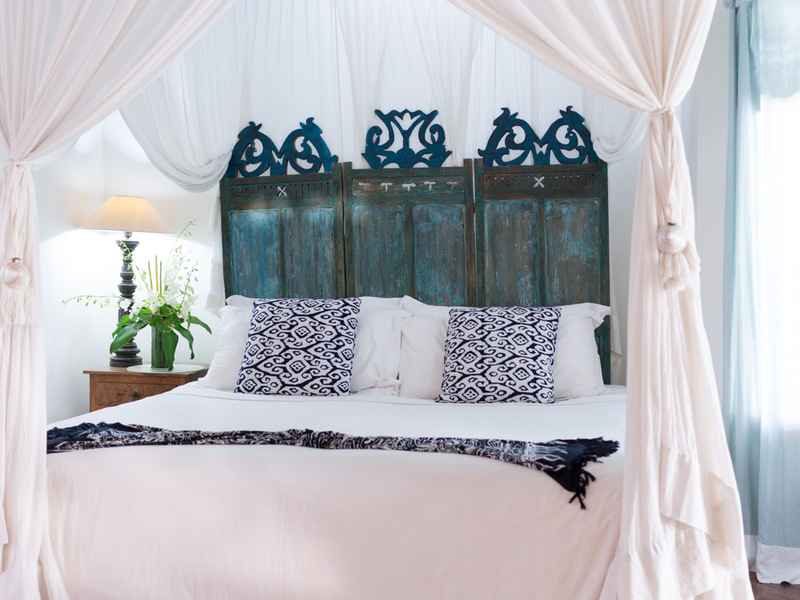 Five gorgeous rooms with the option of king or twin beds. 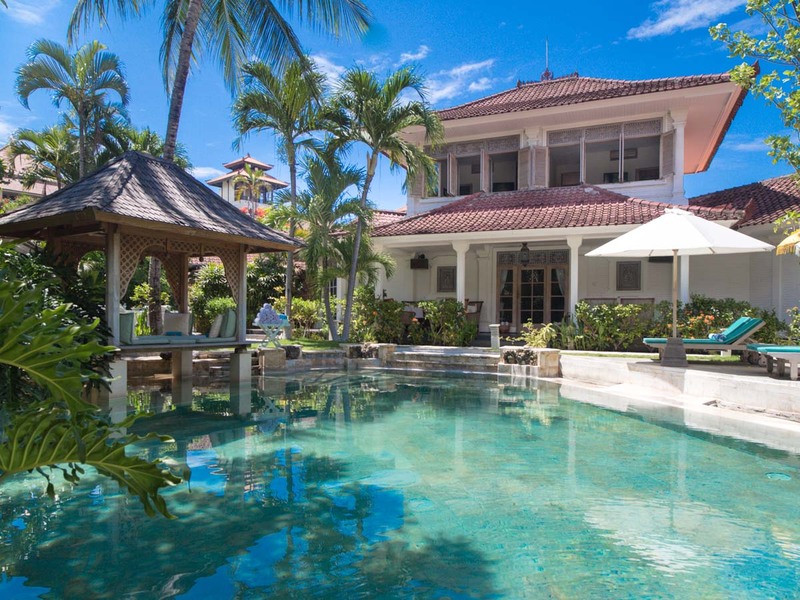 Take a tour of the property! 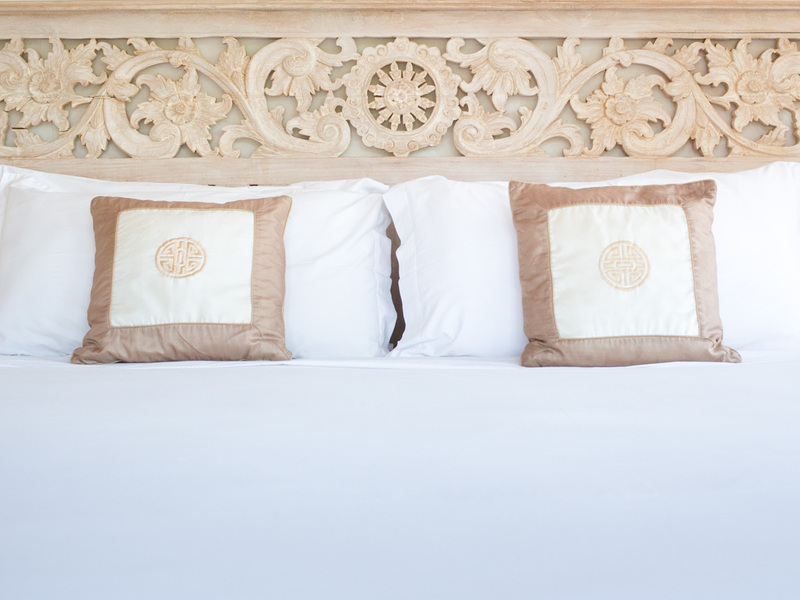 5-star reviews on the most popular sites.